California policymakers, regulators, and advocates are being forced to take extraordinary steps to protect patients and our health system from sabotage by the Trump Administration. The latest and most shocking administrative attack was last night’s announcement that the White House is withholding funding for cost-sharing reductions (CSRs), payments which have already been budgeted and contracted for. This funding helps low-income consumers afford out-of-pocket costs such as deductibles, coinsurance and copayments. They are key in ensuring that consumers can afford their coverage. With the announcement, health insurers must now make up the more than $7 billion/year (over $700 million in California) with additional double-digit premium hikes because of the Trump Administration reneged on these subsidy payments. The irony is that this will actually end up costing the federal government more money, since ACA subsidies will increase for these consumers as well. In our state, Covered California anticipated the possibility that the Trump Administration would abandon the CSR payments and negotiated with insurers to apply the additional 12.4% rate increase to Silver plans. The CSRs only apply to Silver plans, leaving those in other tiers and outside of Covered California unaffected. Consumers in Silver plans will also be held harmless because they will get additional federal premium tax credits, which will absorb the increased premiums. California is lucky that the Brown Administration, Attorney General Xavier Becerra, Covered California, and the California Legislature have been able to take quick action and implement creative solutions to maintain marketplace stability and protect our patients from premium spikes, insurers abandoning the market, and consumers losing coverage, but other states won’t be so lucky. In spite of these efforts to minimize the damage from Trump’s deliberately destructive and destabilizing actions, this is still going to cause unnecessary complexity and confusion in our health care system, and people could lose coverage as a result. California should be working with the federal government to expand access to coverage care, not having to protect its residents from attacks by it’s own President. We also do not know what future actions the Administration may take to pre-empt state authority and jeopardize funding. Maintaining a 3-month open enrollment period: While the Trump Administration cut the open enrollment period from 90 days to 45 days for most of the country, California is maintaining a 3-month open enrollment period for consumers to sign up for coverage. This year, California consumers will be able to sign up for coverage from November 1 to January 31. The Legislature moved quickly on a last-minute bill, AB 156 (Wood), to maintain this 3-month open enrollment period in future years, so consumers will continue to have the time they need to make big financial and health decisions. Investing in marketing and outreach: The Trump administration gutted the ACA marketing budget by 90% and cut enrollment assistance, which will result in fewer people signing up for coverage, leading to a smaller and sicker insurance pool and higher premiums over time. Luckily, Covered California has the ability to raise its own marketing and enrollment budget, and has recommitted to an aggressive effort to get as many Californians covered as possible, to the benefit of everybody. Extending continuity of care protections to the individual market: The Governor signed SB 133 (Hernandez), which ensures continuity of care for people who are in the middle of treatment or awaiting surgery, allowing them to keep their doctors and hospitals for up to a year if their health coverage changes through no fault of their own. The Legislature again acted quickly to protect the 300,000 consumers that found out that they would have to switch health plans because Anthem and Cigna was no longer selling plans in the individual market in their area as a result of uncertainty created by the Trump Administration. Ensuring contraceptive coverage as a basic benefit: Recent Trump administration regulations widely expanded the ability of employers to carve out contraception coverage from the health coverage they provide, undermining women’s health. Thankfully, California law already requires state-regulated health plans to cover contraceptives as a no-cost preventive service. However, about six million Californians who get coverage from self-insured employers are not covered by state protections. California’s Attorney General has sued to challenge the Trump Administration’s regulations, and we hope employers in California will choose not to interfere with their employee’s health care. Protecting California’s ability to keep junk insurance out of our state. Trump’s executive order to expand substandard coverage through association health plans and short-term insurance would undermine patient protections and access, especially for those with pre-existing conditions. Such junk insurance is bad for those who buy it and eventually need the care that is not covered. For the rest of us, it leaves a smaller and sicker insurance pool with rising premiums and fewer choices. California law already regulates and limits both association health plans and short-term insurance, and additional state action to strengthen these patient protections could potentially close the loopholes that the Trump executive order seeks to open. In the next weeks and months, we will find out if the Trump Administration will supersede state consumer protections, which would invite legal challenge from Insurance Commissioners from both red and blue states. If state policymakers did nothing, California would be disproportionately impacted by these attacks on the individual insurance market, which more Californians depend on than in most other states. 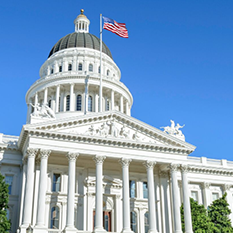 In light of the audaciously aggressive attacks by the Trump Administration on our basic health insurance coverage, we need California policymakers to continue to be proactive in protecting patients and the public, and remain vigilant against additional attacks.